Posted on March 23rd, 2018. Legend has it that Christopher Columbus first made land in Turks and Caicos thus making this the doorway to the New World. This is as true today as it was in 1492. When you touch down in this archipelago of unspoiled splendour you will feel like the world has been made new again. All of the over-developed, crowded resort destinations elsewhere in the Caribbean become a distant memory when you experience vast expanses of crystal clear beaches, coral reefs awash with sea-life, deserted islands that give sanctuary to rare birds and animals, large tracts of vegetation, picturesque local settlements that embody the pretty, laid-back way of life that is the signature of Turks and Caicos. 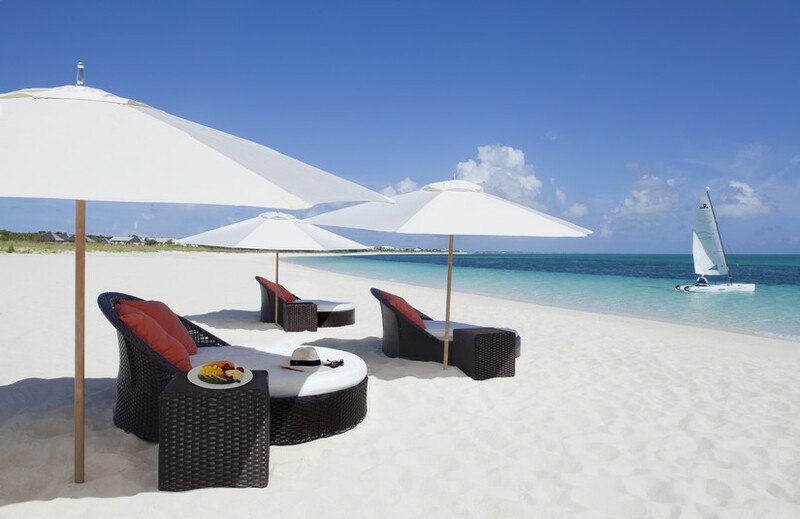 The question on your lips might be, what to do in Turks and Caicos? Well, the answers are unlimited. Whether you are a water baby who delights in adventures on or under the water the breadth of beautiful ocean awaits. Sail and swim off stunning and sometimes deserted beaches. Snorkel and dive along the third largest coral system in the world. Perhaps you are someone keen to experience an abundance of diverse flora and fauna. 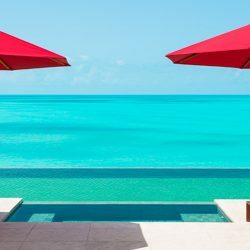 Turks and Caicos has developed its islands to accommodate visitors with an eye to preserving everything that is desirable for 21st century travellers: Five-star luxurious accommodations delivered in natural, unspoiled style. Turks and Caicos comprises 40 islands, 7 of which are inhabited. The majority of inhabitants occupy Providenciales and Grand Turk. While not technically Caribbean Islands, being located in the Atlantic, south of the Bahamas and a mere 550 miles South East of Miami, the islands have the temperate climate, flora/fauna and cuisine that chimes with the ideal of what one expects from a Caribbean destination. Providenciales, known locally at Provo, at 38 square miles, is the most densely populated of the Caicos islands. It has the international airport into which most flights arrive and provides smaller flight connections and ferries to distribute visitors to the other islands. By air, the transfers take no more than 10 – 25 minutes. Ferry transfers take longer. For instance, if you are staying at one of the Turks and Caicos villas at the Parrot Cay resort, a boat transfer from Providenciales marina takes no more than 30 minutes and is a wonderful way to decompress from the reality of your life before stepping into the exclusive and private destination that is Parrot Cay. Parrot Cay is one of our favourite luxury Caribbean resorts. What are the things to do in Providenciales? As a vibrant island with the Conde Nast award winning Best Beach for many years in a row, it’s no wonder that guests arrive ready to embrace all of the wonderful activities offered on and off the water. Grace Bay, on the North end of the island, is the natural place to start as it is the focus of the majority of tourist infrastructure in Provo. At over 12 miles in length, this spectacular beach with access to the reefs offers so much space for water enthusiasts to enjoy diving, snorkelling, kayaking, kiteboarding, fishing – or just take a jog along the water’s edge at dawn and breathe in the spectacular ocean spread out like a shimmering, rippling strip of turquoise silk to the horizon. The Bight Reef, also known as Coral Garden, is one of the most popular snorkelling sites in Turks and Caicos as the coral reef is accessed from the beach. Look out for the oddly shaped Trumpetfish, spot green and hawksbill turtles. Southern brown stingrays and the rarer spotted eagle ray are unperturbed by snorkelers and it is so thrilling to interact with them, always from a slight distance, as diving and snorkelling etiquette demands. Watch them as they fly by. The occasional nurse shark might be basking nearby but they, along with other interesting species like blue parrotfish, angelfish, yellowtail snappers, squirrelfish are perfectly safe to encounter. The Coral’s crevices offer safe hiding places to spiny lobsters and spotted moray eels. Don’t forget the coral reef is a living organism so it’s important not to touch or step onto the coral. 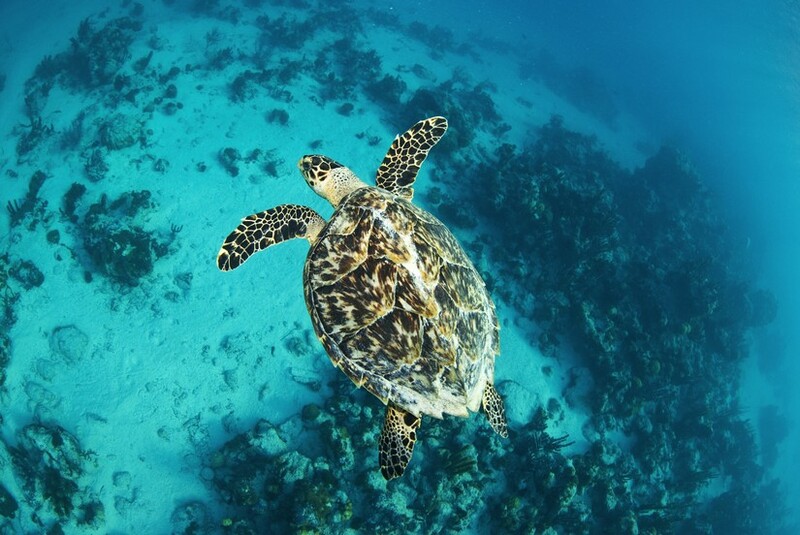 At busier Smith’s reef, there are more diving and snorkelling expeditions, so being mindful of boat traffic and currents is key to enjoying these underwater marvels in safety. If you are staying in Grace Bay, you can walk the 3.5miles along the beach to Smith’s Reef before you take your excursion. A majestic way to start your day of stimulating activities. Always be guided by local knowledge and heed wind warnings as the occasional blustery wind fronts can make swimming around the reef a bit tricky. On the subject of weather, there is remarkably low rainfall across the islands and although an occasional wind can disturb your swimming plans on one side of the island, a short jaunt to the opposite side of the island will offer up an equally beautiful beach, sheltered from any annoying gusts. 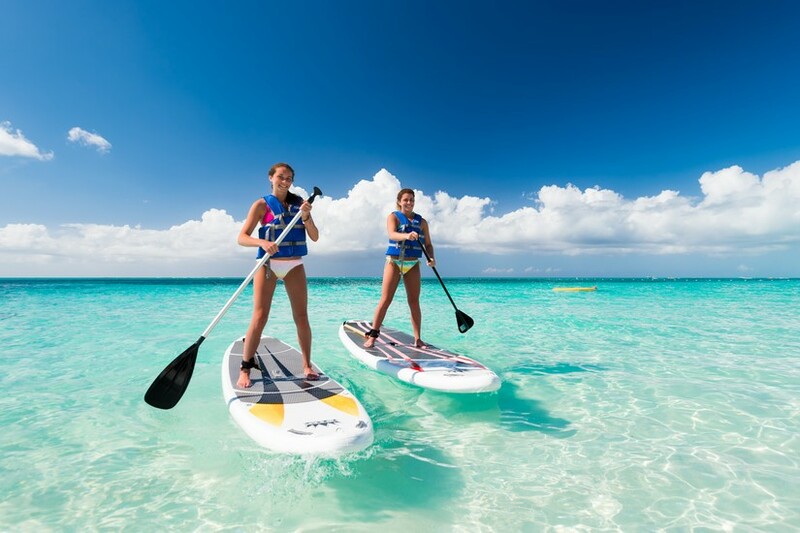 With all water sports, there are novice, intermediate and advanced experiences for all visitors with many of the local companies like Provo Turtle Divers and Big Blue Unlimited in the Caicos islands or Crystal Seas Adventures in the Turks islands providing equipment, instruction and invaluable local knowledge. Why not take a trip to Princess Alexandra Marine Park to see JoJo the Bottlenose Dolphin who has made this bay its home since 1980. This quirky mammal playfully engages with visitors who can take small boats out on the water to meet him and see his cheeky antics. The Conch Farm is probably one of the most unique Turks and Caicos attractions. These sea creatures who are used as a key ingredient in so many local dishes, for example, yummy conch stew, the marvel that is conch fritters, are grown from tiny veliger’s into 4 year old adults in the world’s very first Conch farm. Chalk Sound on the South of Provo is a dramatic location for a walk. Why not take an easy stroll to the hill overlooking this stretch of coast to see large stones engraved by shipwrecked sailors. It is quite a moving sight to see these stones preserving, for all time, the marks made by sailors who were doomed to see out their lives castaway in paradise. This side of the island, with access to small cay islands, uninhabited and very much off the beaten track, allows visitors a chance to find quiet places to sunbathe and picnic in solitude. A blissfully romantic idea! On the western side of Provo is the unspoiled Malcolm Beach. A very secluded, underdeveloped beach. With almost 2 miles of turquoise waters, ideal for snorkelling or meditation, ideal for visitors who want to enjoy the beach and sea without too much activity. The oldest settlements on Provo are Bight and Blue Hills. These charming villages with colourful houses and traditional and very simple architecture are the epitome of traditional Caribbean living. The friendliness and warmth of the locals makes one feel instantly welcome as you stroll around the streets. Sapodilla Bay is the very best place to visit the plantation ruins of Cheshire Hall or Richmond Hill. These 200-year-old remnants of the forgotten cotton growing past of the islands remain frozen in time. Take a walk through the island’s history, looking at the structures of the plantation house and its adjacent slave quarters. It’s a really emotional and strangely eerie feeling walking through these corridors of time. Get back on the water after these onshore adventures and enjoy Eco Safari who specialise in low-impact, eco-friendly excursions around the islands. In fact, the majority of excursion and tour companies consider how their commercial activities impact on the natural environment. Very wisely, the islands understand that caring for the natural world now is a legacy for future generations of visitors. Centre to enjoy the local ripsaw music, sample delicious street food like fresh luscious lobster cooked before your very eyes, mingled with spices and flavours that capture island living. Float among this colourful and vibrant atmosphere. A wonderfully casual yet romantic evening awaits and is suitable for all ages. Things to do in Grace Bay for those who enjoy a bit of retail therapy is to take a stroll along Turtle Cove or Grace Bay Road where cute boutiques offer pretty, locally created accessories. There are some wonderful artisans and designers based on the islands and you can grab yourself some Konk Apparel pieces, the sunglasses are terrific. Atelys Adrian’s silver jewellery with pretty stone and sea glass are gorgeous mementos to take home. Also, the Sea Sage’s silk scarves, designed to the highest standards, come in an array of designs with captivating names such as Sunset, Dusk, Conch, Starfish. Simply beautiful. We can thoroughly recommend the Somerset on Grace Bay as a place to stay during your visit. 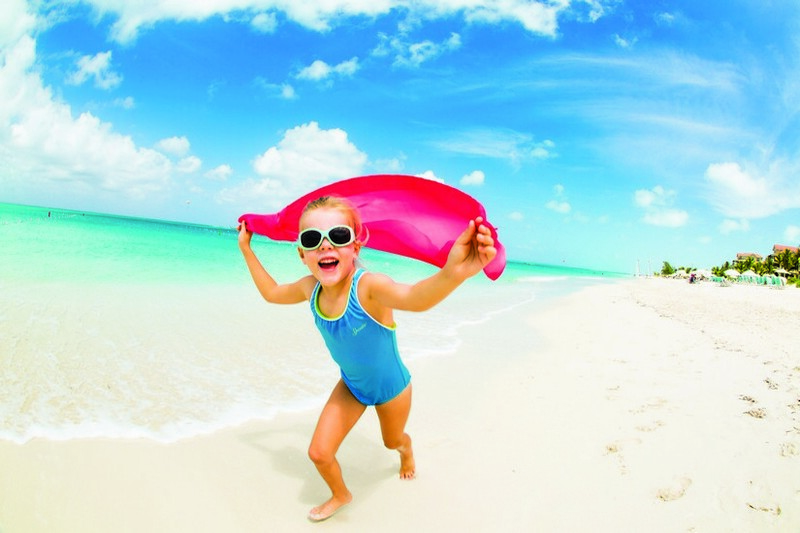 Things to do in Turks and Caicos with kids? The first bulletin that should bring joy to your hearts is the fact there are no fast-food chain outlets in Turks and Caicos. Not one! Hurrah! 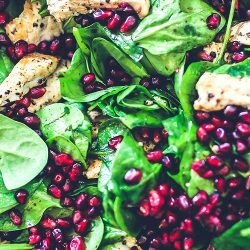 I’m not saying your children won’t enjoy delicious local fried chicken or some scrumptious burgers, but you can strike a note for a more healthful and diverse diet for your children and teens while on the islands. Embark on a new adventure each day with your family. There are activities for children of all ages and that bored teenager you reside with back home will disappear for the duration of your vacation. Take bike rides around Provo, go kayaking, learn to master paddle-boards. Engage eager minds and lively bodies. A half day excursion to Little Water Cay (known as Iguana Island) a 116 acre sanctuary off the leeward side of Provo, is a terrific eco tour for visitors of all ages. The Turks and Caicos Rock Iguana is a large herbivore (this means he won’t want to nibble your fingers or toes!) who happily potters around perfectly oblivious to visitors. Being quite approachable, this quirky creature certainly loves to do a bit of photo bombing! Younger visitors are absolutely transfixed by this adventure. For any budding equestrians or kids who just love to be around horses, take a tranquil ride through the waves with expeditions managed through Provo Ponies. You don’t need to be rodeo standard to enjoy this happy group activity. The ponies and horses are gentle and sweet. The rolling waves, the entrancing rhythm of being on horseback – a joy for the child within everyone. Race for the Conch, Eco Swim hosted each year on Grace Bay, Provo, usually in July, is billed as one of the world’s most gorgeous swim races. International competitors and swimmers new to the sport of open water racing, compete side by side for the coveted Conch trophy. Races of varying distances ranging from half a mile to 2.4 miles are covered so they are within the range of most experienced swimmers. What a brilliant challenge to build into your holiday. Book your race through Ecoseaswim.com and get into training. In terms of Turks and Caicos activities, personally I think it’s one of the best. For some adrenalin pumping Turks and Caicos things to do, I recommend kiteboarding. The lightly developed Long Bay Beach located on the shallow Caicos Banks region is one of the top kiteboarding destinations in the Caribbean. The East/South-East trade winds, prevalent throughout the year and more pronounced during winter months, create the perfect conditions to unite air and sea in a thrilling way. If you are new to this sport, then Long Bay Beach on Provo is the ideal place to be instructed in how to tackle this adrenalin inducing sport in safety. Experienced kiters can look further afield for their natural highs but should always check with local experts with regard to wind directions, offshore winds and on-land back up support in case of emergency. The ferry from Provo lands at Sandy Point on North Caicos and is the ideal place to start your tour of both North and Middle Caicos. These two islands comprise the largest land footprint of the islands but with a population of less than 3,000. There is very low-density development as well. Each island has a small hotel and a few restaurants and shops for supplies. 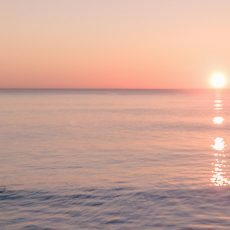 Everything you might need to enjoy the most blissfully peaceful of vacations. 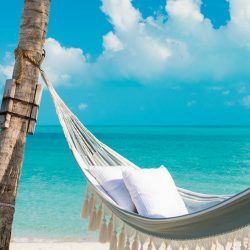 With pristine beaches, fascinating wetlands, 19th century cotton plantation ruins, it is probably one of the most romantic places to stay in Turks and Caicos, especially if you want to feel as though you are in your own private Eden. 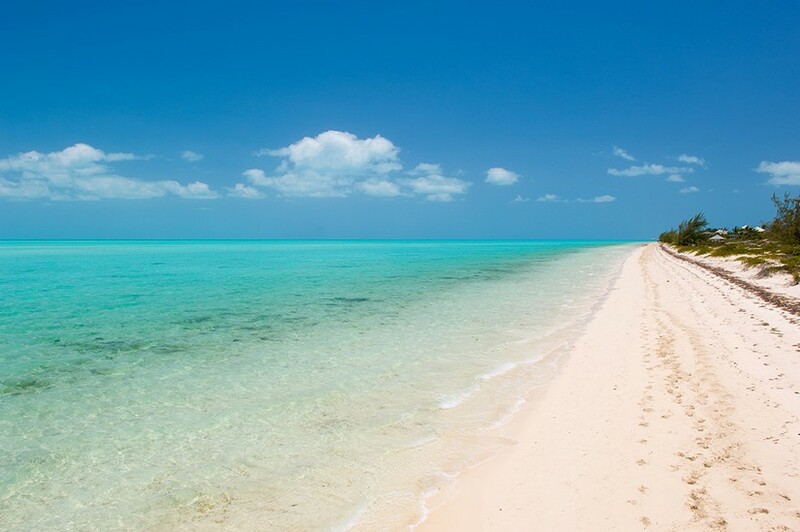 Read more in our Travel Guide to Turks and Caicos. A causeway between North and Middle Caicos is the longest uninterrupted drive available in the Archipelago at 32 miles. And what a drive it is. 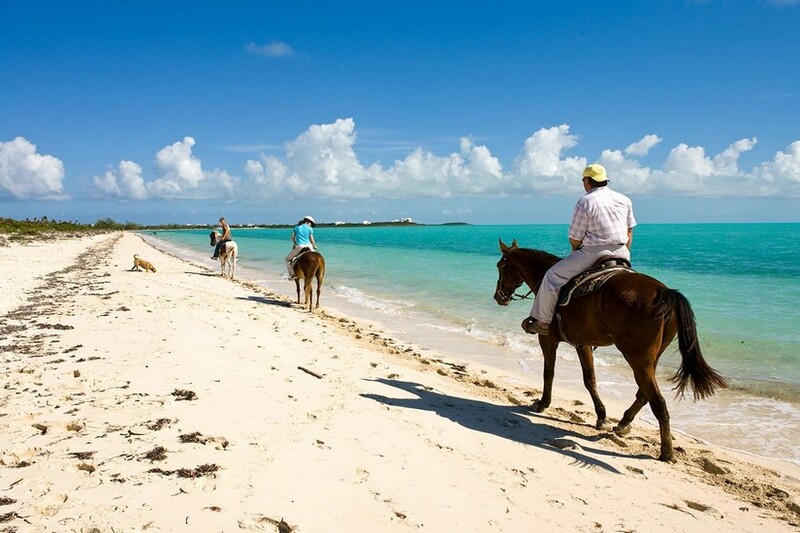 I would venture to say it is one of the best things to do on Turks and Caicos by car. You are truly driving through an ocean! Book your SUV / Jeep in advance. It’s important to note that both North and Middle Caicos are destination islands with a focus on nature, seclusion – plan your outings well ensuring to take the right clothing, water, snacks or a full picnic. There is much to see and appreciate in these very under-developed islands. The beaches are so beautiful and as a family you can enjoy the pleasure of finding your own private paradises. Provo is a ferry ride away and you can easily make a day trip onto this livelier and more developed island. 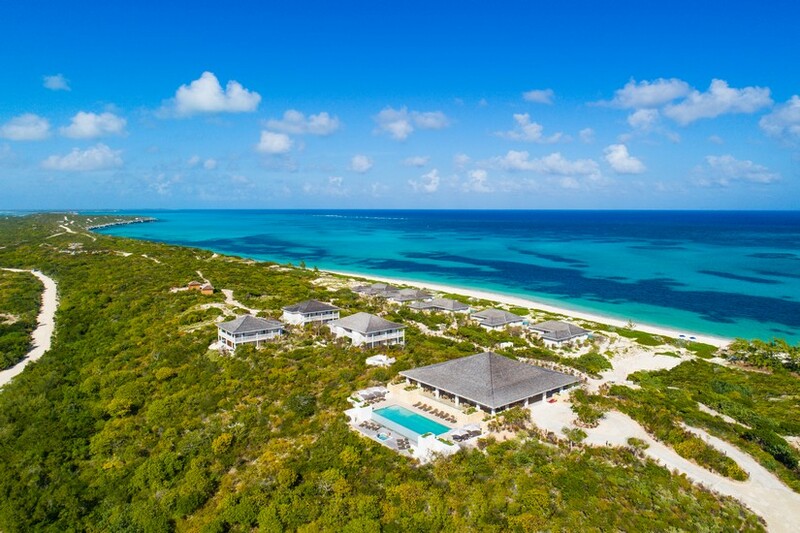 If you have decided to stay at one of the exceptional Villas in Middle Caicos, you will be thrilled to return to your lovely home after a day amid the bustle of Grace Bay. North Caicos, known as the Emerald Isle for its lush, green landscapes receives the most rain annually thus ensuring the tropical plants and trees flourish. The traditional villages of Bottle Creek, Whitby and Kew are really interesting settlements to visit. Travelling around the island by car, taking a picnic, you will find secluded spaces to while away an afternoon. The plantation ruins of Wade Green are worth a visit to relive the island’s colonial past. Again, pink flamingos can be seen on this island around the salt flats. As a day tripper to Middle Caicos you must visit Mudjin Harbour, considered one of the most beautiful beaches in the entire island chain. It provides lovely shallow waters for swims and an easy hike to the top of the hill to see praying hands. See if you can find the steps that will take you down to a secret beach. As Turks and Caicos destinations go, this is right up there at the top of the list. Middle Caicos also boasts the largest cave network in the Bahamian archipelago with impressive stalagmites, stalactites, bats and owls. A treat for caving enthusiasts. At low tide, there is a trail that links North and Middle Caicos that can be hiked. This round-trip hike can take about 5 hours and passes through cliffs, rocky coves, salt marshes, bush pathways. Suitable only for able-bodied adults, you will be traversing a trail used for centuries by local islanders. Take a well-stocked day pack, good footwear, long sleeved shirt, sunblock, water, food … all the sensible items that experienced walkers and hikers would take. South Caicos at 8 square miles is an excellent destination island if you are a deep-sea fishing enthusiast. 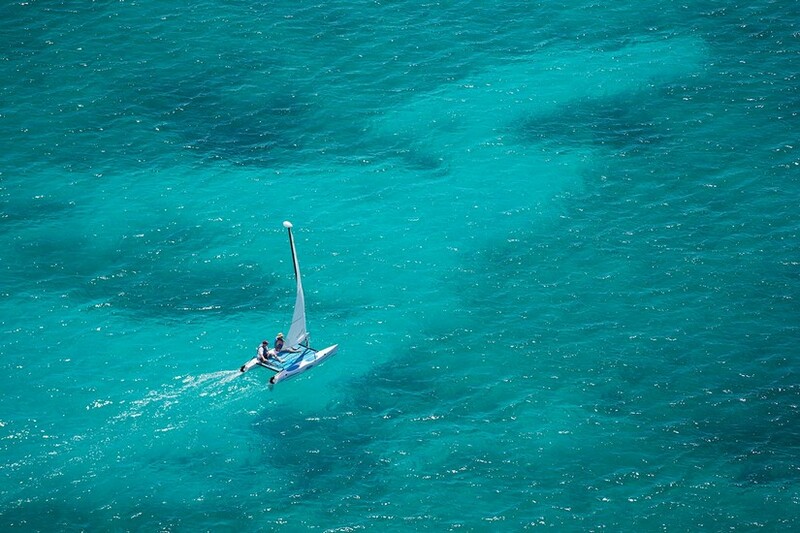 It boasts the best natural harbour in Turks and Caicos and is the host, each May, to the Big South Regatta. In 1966 Queen Elizabeth visited the island on her yacht Royal Britannia. Again, lovely beaches and coves provide secluded spaces for swimming or snorkelling. The salt pans around some of the coastline, are a reminder of Turks and Caicos salt manufacturing past. I recommend the Sailrock resort on the long northern peninsula of South Caicos as the place to stay. Accessible to Cockburn Harbour named for the 1880 Governor of the Bahamas, Sailrock Beach has a beautiful stretch of white beach – probably the best on this island. Moving along to Grand Turk, the 14 square mile administrative capital of Turks and Caicos. This island competes with Provo as the liveliest of the islands in the archipelago. Here we find the historical heartbeat of these islands. The colonial buildings that are dotted around Cockburn Town Centre date from 1820s. As well, there are lots of more contemporary buildings that are imbued with rustic charm. Take a bike ride to the impressive lighthouse that was brought piece by piece from England and reconstituted on the island. Visit the National Museum that houses permanent exhibitions of photographs, coins, stamps. Perhaps the most remarkable exhibition is Letters in a Bottle. As Grand Turk island things to do go this was my favourite historical experience by a mile. For a period of almost 40 years, various letters in bottles washed up on the shores of Grand Turk. These have been curated and presented in this unique exhibition. The extraordinary stories, the breadth of history covered, the sheer poignancy of the personal details that unfold as you experience this exhibition are hard to fathom. How many novels or films could be inspired by these remarkable letters? A definite go see! 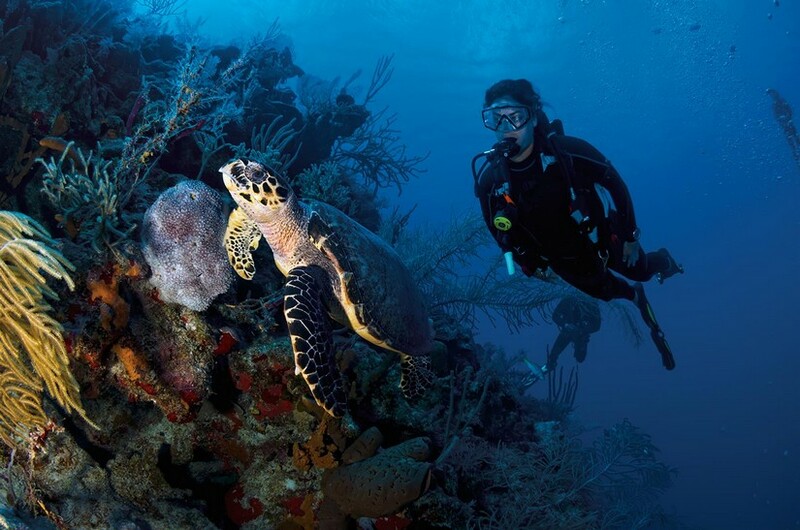 The diving off Grand Turk is expertly managed by the Humpback Dive Shack where novices can learn the rudiments of diving or simply snorkel off the beach to explore the coral reefs that are close by. The diving walls around the islands are world class and for anyone qualified to make deep dives, they won’t be disappointed. During whale watch season, expertly managed eco-tours take very small groups out on the water to watch the migration of the humpbacked whales. The Columbus Passage, a 22 mile channel between the Caicos and Turk islands, is the highway for the whales and so many other pelagic varieties. The boat excursions are mindful not to over-crowd the water or create too much noise or fuss so the whales make their annual trip in a stress-free manner. It is truly a once in a life time experience, to stand in one of the observation boats and watch these majestic and gentle creatures pass by at such proximity. You can feel the unspoken trust that can exist between man and whale. It is a rather spiritual experience, to be honest. Why not take a scheduled trip to Gibbs Cay, Grand Turk to swim with the gentle sting rays. These large fish, fly through the water and pass around the swimming visitors – seemingly as interested in us as we are in them. Be sure you have an underwater camera to hand as these photographs will simply amaze your friends at home. On that note, why not book the services of one of the islands gifted photographers? Attimi Photography can immortalise your celebrations, take a gorgeous sunset group photo or some live action in / out water shots. They can also advise where to get the best shots and at what time of day the lighting will be sublime. Sometimes you just want to be in the photo and not behind the camera. What is there to do in Turks and Caicos for the avid petrol head enthusiast? Well, for a lively experience on land, Zoom Zoom Tours offers ATV expeditions around Grand Turk. A quick demonstration and you are ready to man your own ATV and travel in convoy to all the key points around the island. View Astronaut John Glenn’s capsule. The first American to orbit the earth splashed down in his Friendship 7 Mercury capsule on 20 February 1962 just off the shore of Grand Turk. Zoom along to the lighthouse and try the heart stopping zip-wire, catch a glimpse of the wild donkeys that roam the island interior, drive out to the Salt Ponds where the most unexpected sight of a flock of pink flamingos and brown pelicans will astound you. TCI Helicopters offers aerial tours over the islands that give you that unique bird’s eye view that helps you understand the layout of the islands and reef structures of Turks and Caicos. A more earthbound tour is the lazy horseback ride through the waves that Chukka Adventures organises for you. The gentle horses will safely ferry the most timid and inexperienced of riders through the water. As an animal lover, you will so enjoy the encounter with these happy creatures who revel in their daily swim along the shores. If you want to move through the water with a bit more zoom, why not try the power snorkels. These motorised hand-held units will propel you through the water at a lively speed. A very James Bond-esque experience. Some of the best excursions in Turks and Caicos are arranged by Kenard Cruises who provide luxury yacht or speed boat hire for small parties to explore the coves and bays around all of the islands. The relatively calm waters are a joy to cruise around – taking a refreshing dip off the boats as you enjoy a languorous afternoon bobbing on the sea. The crews know the very best places for you to visit. They have all the hidden and much sought after castaway style beaches on their maps and can plan a romantic day out or an action-packed family adventure. Kenard can complete your tour with a beach BBQ as you create your own Robinson Crusoe memories. For children and teen water sport novices, the islands offer the SURFside Ocean Academy that will introduce the young students to kayaking, wake-boarding, paddle boarding, hiking – lots of fun activities supervised by this licensed school that hires fully qualified nannies and trained sports instructors. For the active teen or timid child, this terrific school can create magical memories and is certainly one of the most rewarding things to do as your child can return home with a new skill. 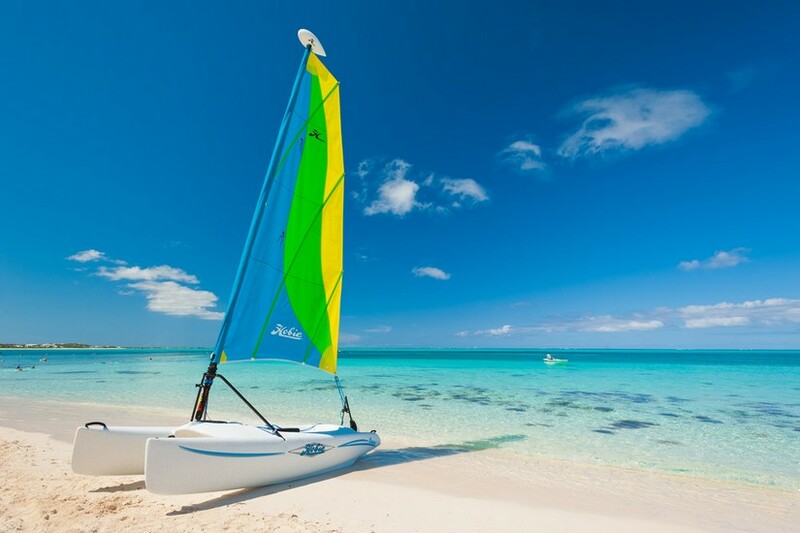 Definitely something worthwhile to do in Turks and Caicos. 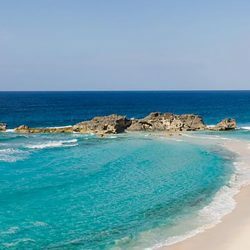 With numerous flights from USA and Canada and an excellent connection over Antigua with British Airways, Turks and Caicos is easily reached. Interconnecting smaller flights and ferries operate regular services between all of the islands so getting to your ultimate destination among these spectacular islands isn’t a stressful business. Once you’ve reached your beautiful villa or hotel, you will enjoy being a shoeless, castaway revelling in 5 star splendour. The pace of life on the islands is arranged in such a way that pottering around on foot, cycling across quiet roadways, clip clopping on horseback or kayaking on silvery aquamarine waters creates a gentle tempo by which to navigate your day. Never having to get too dressed up, the simplicity of the daily experience has the ability to destress you much faster than most other holidays of this type. What makes Turks and Caicos so great? It has to be the unspoiled beaches, secluded areas where you can enjoy safe and blissful relaxation, the proximity to abundant nature flourishing in its habitat. Even the more developed part of the islands are still beautifully designed. With an absence of the tackier elements and garish nightlife scene that have overwhelmed some of the other islands in the Caribbean, here is a world that places consistent value on its heritage and natural treasures. You will be stimulated – body and soul – on these islands. What are the drawbacks? Probably that you will have to brush the sand off your happy feet and board a plane to go home. Go explore paradise! Can I get to buy a house/ villa in the island ?otherwise it is a spectacular place fore an holiday.